Whether you are building your first WordPress website for your business, or looking to revitalize your site with an overhaul, there’s one question which comes to mind as soon as you approach the site building process. Which theme should you use? A WordPress theme helps define how your site will look and operate, and has a larger impact on your finished WordPRess site than any other single factor. 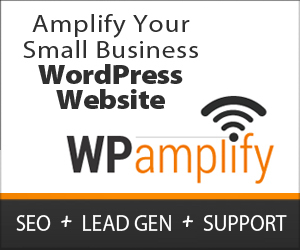 But what WordPress website themes are right for your business’s site? In order to choose the best theme for your needs, ask yourself these five questions. 1. What’s Your Experience With WordPress? 2. What’s Your Graphics Budget? Many new website owners don’t realize this, but you will have to pay for every image that you use on your business’s site. Using imagery that you grab off of Google can lead to lawsuits or cease and desist orders, so smart business owners pay for correctly licensed images from a stock photo site or from an artist directly. When choosing a new WordPress theme for your site, be honest with yourself about how much you are willing to spend on graphics and imagery. If you don’t have a big budget for correctly licensed imagery, it’s not the end of the world. Just choose a streamlined and minimalist WordPress theme that looks good without lots of pictures. 3. Is Loading Speed Important To You? For most businesses, website and page loading speeds will be crucially important. The faster your site loads, the more likely you are to keep readers interested and engaged. If you are looking to boost loading speeds for your site, you can spend a whole lot on better site hosting and other high tech solutions to assure that your pages don’t take too long to render. Or, you can start with a simpler solution, and select one of the WordPress website themes known for quick load times. Some themes are bloated with too much unnecessary coding, or offer high end customizability features that you won’t utilize. To choose the right WordPress theme to boost your site’s speed, start by looking at lists of known speedy themes, and see if you can find one that meets all of your other requirements. 4. How Much Does Your Site Need To Do? A big consideration in choosing your WordPress theme should be exactly what does your site need to do. Are you simply looking to create an online hub for your business, and share a bit about your story through a regular blog? Look for a slim WordPress theme without lots of clutter. Do you need a theme that can support an eCommerce shop and lots of other premium features? Choose a WordPress theme with lots of toolbar, header, footer, and sidebar customizability. Once you are honest with yourself about exactly what your site needs to do, find a theme that accomplishes those goals efficiently. The more extra, unused features your theme supports, the more can go wrong. 5. Is Your Favorite Theme Mobile Responsive? Once you’ve done some digging and found a theme that looks like it will work well for your needs, there is one factor you should double check and keep in consideration, and that’s the mobile responsiveness of your desired theme. Recent Google updates have made sites without mobile responsiveness almost entirely obsolete, as Google now awards mobile responsiveness with higher search engine result placements. If you want to make sure your site gets seen, and that you don’t make a simple mistake of building up your site around an obsolete theme, make sure the WordPress theme you select supports mobile responsiveness. How Can You Make Sure You Have the Right Theme For Your Business? Start by asking yourself the questions above, and answering them honestly about your business. From there, just be sure that your Theme doesn’t hold you back, and offers all of the functionality you need. If it feels like you’ve selected the wrong theme, keep looking. There are so many themes out there, there’s probably one that’s perfect for your business if you look hard enough.